Cute, but I think it need some sort of background so she isn't floating in the void again. You suddenly gain all the powers of your Self-MOC, what do you do? Take over Egypt and instate yourself as Pharaoh? Or something more funny? Fly to school instead of driving. I don't really think Egyptians like Pharoahs too much honestly. That's more of a stereotype thing that's used to get tourists to by cheesy merch. specifically comics as a part or product of the company? No TTV comic plans have been made. I only work on my own comics at the moment. If you were a ruler of a country or something, what would you want to be called? Just my real name. I don't really like fancy ruler titles. Also please don't call me princess. Want to be Mayor of Wintersville? If so, do you plan on picking up more than one? Never was going to. It just snowballed off the pharaoh discussion with Kiixaar. Then you could've flown to Virginia. What're you currently most excited for? Would you kill Eljay if he spilled a Frappuccino just to spite you? Who's your least favorite cast member of the TTV podcast? Are you getting tired of answering all these questions? What's your least favorite trait about Var? are you ever thinking of doing art of what you think the Fly scene would look like from the TTV Brickfair Podcast? Did you enter the Makuta Contest? Opinion of Dubstep and Dream Pop? Can you do a ranking of all of the emojis on the boards, in which you would express your disdain for all of them? Dubstep is tolerable in moderation, never heard Dream Pop. 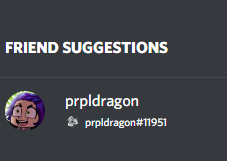 Yeah that's just some new discord thing where it shows all your Battle.net friends on it now. I think it also does it with Skype and Twitch. It's mostly what Grimes does, if you've heard of her.